The fate of the harmful provision in the House bill will rest in the hands of a yet-to-be-named House-Senate conference committee on the bill. Nonprofits wanting to help preserve nonprofit nonpartisanship should contact their own Senators and Representative and deliver this simple message: “Partisanship has NO place in charitable organizations – whether churches, charities, or foundations. Oppose all efforts in conference to add a controversial anti-Johnson Amendment rider to the Financial Services spending bill.” Go to the Take Action page to learn what more you can do to protect nonprofit nonpartisanship and keep the rancor of politicking out of our sector. Earlier this year, the U.S. Census Bureau announced that it intends, for the first time in seven decades, to ask people about their citizenship on the 2020 Census questionnaire. Many nonprofits and other groups oppose the inclusion of the citizenship question because of the likelihood that, among other things, it will reduce participation and lead to an unfair, inaccurate, and incomplete count. The National Council of Nonprofits and many others contend this would lead to less federal funding to undercounted communities, inaccurate demographic data on which businesses, governments, and nonprofits will base their decisions for a decade, and skew political power when districts are redrawn. What can you do to help stop this foreseeable and unnecessary tragedy? You still have time to submit comments opposing the citizenship question. The U.S. Census Bureau is taking comments from the public on the census process and is looking specifically for "ways to enhance the quality, utility, and clarity of the information to be collected" and "ways to minimize the burden of the collection of information on respondents." This comment period presents an ideal opportunity for nonprofits to express opposition to the citizenship question. You can go directly to the Census Bureau comment form or submit prepared comments using the Census Counts website created by advocates opposing the citizenship question. Also, our colleagues at Forefront in Illinois have prepared helpful talking points and social media messaging for everyone’s use. The public comment period closes this Tuesday, August 7. Whether or not non-charitable nonprofits must disclose their donors has become a hot topic due to conflicting decisions in Washington, D.C. The news two weeks ago was that the Treasury Department announced the elimination of a disclosure regulation that had required non-charitable nonprofits - including social welfare organizations, unions, and trade associations - to inform the Internal Revenue Service of the names and amounts donated in excess of $5,000. The decision was hailed by purely partisan groups and “donor privacy” interests as a positive and by campaign finance reform advocates as seriously misguided. The news late on Friday, however, goes in the opposite direction and reverses the attitudes of the players. In a case involving Crossroads GPS, one of the most politically active 501(c)(4) organizations, a federal judge struck down a regulation by the Federal Elections Commissions (FEC) that allowed donors to social welfare nonprofits to remain anonymous. Specifically, the judge ruled, "The challenged regulation … blatantly undercuts the congressional goal of fully disclosing the sources of money flowing into federal political campaigns.” Procedurally, according to Politico, the FEC has 45 days to issue interim regulations. The FEC could appeal the decision, but an appeal would require a unanimous vote from all of the sitting commissioners. For the time being, donor disclosure mandates are unsettled. More Bills Introduced to Repeal Taxes on Tax-Exempts: The tax meter continues to run up liabilities for tax-exempt organizations; lawmakers are introducing bills while Treasury and the IRS make no showing of support. Two Senators introduced bills to repeal one or both of the new taxes imposed on “churches and charities” in the so-called “Tax Cuts and Jobs Act” enacted in December. Senator Ted Cruz (R-TX) introduced companion legislation (S. 3317) to the Nonprofits Support Act (H.R. 6037) introduced last month by Representative Mike Conaway (R-TX), that eliminates both the new unrelated business income taxes on (1) each “separate” “trade or business” and on (2) transportation benefits. Separately, Senator James Lankford (R-OK) introduced a bill (S. 3332) that mirrors one introduced by Representative Mark Walker (R-NC) that seeks to repeal the tax on transportation benefits (H.R. 6460). Few believe that Congress will take action on any of the measures this year, which means that nonprofits need to seek relief at the regulatory level. ACTION NEEDED: Join the effort to secure immediate relief from the new taxes on tax-exempt organizations. Go to the IRS public comment form and insist that Treasury and the IRS delay implementing the two new UBIT subsections until one year after Final Rules are promulgated. SALT Workaround Regulations Coming Soon: The federal Office of Management and Budget has received and will soon publish proposed regulations to address the legality of new state laws that enable taxpayers to avoid the $10,000 cap on state and local taxes (SALT) enacted as part of the 2017 tax law. Connecticut, New Jersey, and New York approved laws that permit taxpayers to make donations to government-run nonprofits and treat the payments as a charitable donation for federal tax purposes. In May, the IRS announced it would be writing regulations on SALT workaround efforts, warning taxpayers that “federal law controls the proper characterization of payments for federal income purposes.” Scholars noted, however, that states have been providing tax credits in exchange for charitable donations for many years, including other types of workaround schemes in more than half the states. Flexible Giving Accounts: A new bipartisan bill (H.R. 6616) has been introduced to allow employers to create flexible giving accounts, enabling employees to make pre-tax payroll deductions of up to $5,000 per year into an account through their employer and designate the nonprofits to receive the funds. Employers would be able to establish and administer the accounts as part of a cafeteria plan as a fringe benefit to attract and retain employees. While seen as promoting charitable giving, the legislation raises questions about whether employee confidentiality can be protected, whether employee giving options would be expanded or limited by employer preferences, and whether administrative fees will eat into the donations along the lines seen this year in the Combined Federal Campaign. IRS Substantiation and Reporting Requirements: The Internal Revenue Service issued final regulations on substantiation and reporting requirements that largely track common practices by most nonprofits. The regulations, in the works since 2008, clarify the donor’s responsibilities compared to those of the organization receiving the donation. Of note, the regulations establish approval for email acknowledgements of donations, reducing previously burdensome hard copy requirements, and clarify that a blank pledge card provided by a donee but filled out by the donor is insufficient substantiation. However, a single written acknowledgement can satisfy both the contemporaneous written acknowledgement rules and recordkeeping requirements. Parsonage Allowance Debate Continues: A legal challenge to the constitutionality of a clergy housing allowance is being appealed by a group of ministers who lost in federal district court last fall. The lower court had held that parsonage allowances, or housing stipends provided by houses of worship, violate the Establishment Clause by benefiting religious persons compared to secular employees. The ministers are appealing the decision and argue the allowance is permissable because it is an exemption as opposed to a transfer of funds, consistent with other similar exemptions historically enjoyed by churches. Tax laws in five states (Iowa, Kentucky, Maryland, Montana, and North Dakota) incentivizing charitable donations via tax credits helped generate increased donations to endowments, according to a report in the Chronicle of Philanthropy. Charitable endowments in Iowa have increased sevenfold since the state enacted a giving incentive in 2003. Each state provision is structured differently, with some allowing the benefits to be applied only to gifts to community foundations, while others also allow donations to charitable organizations, including nonprofit colleges and universities. Four legislatures (Colorado, Michigan, Minnesota, and Mississippi) considered similar measures this year, each with varying provisions on rates, caps, and qualifications for which nonprofits may receive the donations. The actions reflect a trend to incentivize charitable giving by residents. Some within the nonprofit community disagree on whether incentives for specific types of endowments help or harm charitable organizations, such as by fostering preferences for specific missions or long-term uses at the expense of supporting the work of today’s nonprofits in meeting current community needs. Last month a federal judge blocked Medicaid expansion in Kentucky because the U.S. Department of Health and Human Services failed to “adequately analyze” the impact on health insurance coverage. Approximately 95,000 Kentucky enrollees would have lost health care coverage in the state due to new requirements restricting eligibility for many who did not participate in work or volunteerism activities. In response to the decision, the federal government has announced a new round of public comments so the state could submit another request for approval of a new waiver. Kentucky had been the first state to impose work and volunteer requirements on recipients for Medicaid, and other states followed closely behind, with three (Arkansas, Indiana, and New Hampshire) successfully receiving federal approval for the requirements and another three (Arizona, Ohio, and Maine) currently seeking permission. The Mayor of Boston has released the annual report on how willingly nonprofit property owners are complying with the City’s demand for “voluntary” payments in lieu of taxes (PILOTs), and he remains dissatisfied. Since the previous mayoral administration, Boston has been sending mock tax bills to owners of tax-exempt property valued at more than $15 million based on an arbitrary formula the City claims nonprofits should pay. Through its annual public report of contributions, the City discloses the amount paid by nonprofits into the treasury, and in that way seeks to publicly showcase or shame each educational, medical, and cultural institution listed. This year’s report found the targeted organizations paid $33.6 million in cash contributions ($1.2 million more than last year) and $43.5 million in community benefits credits, totaling 74 percent of the requested amount by the City. Among those, cultural organizations were the least likely to make the voluntary payments demanded by the City (contributing about 50 percent), while educational institutions paid about 60 percent, and hospitals came closest to satisfying City Hall’s demands by contributing 94 percent of the $44.5 million requested. Boston has tried to justify its PILOT scheme in the past by claiming that half of the property in the City is exempt from taxation. However, only six percent of tax-exempt property is actually owned and used by charitable nonprofits; the rest is owned by local, state, and federal governments. "Nonprofits in Boston are key partners in improving communities, helping to drive Boston’s economy, and making the City a cultural destination,” said Jim Klocke, CEO of the Massachusetts Nonprofit Network. “The current PILOT program generates millions in voluntary cash payments and millions more in community benefits, including programs and services that are flexible and tailored to particular needs throughout the City of Boston. PILOT conversations should include the pressures that nonprofits are feeling from rising demands for their services and the new costs of the new federal tax bill." Rain Taxes: Nonprofits are fighting a growing trend of governments seeking to impose stormwater fees, or “rain taxes,” on property, regardless of tax-exempt status. The taxes are based on the amount of a property's “impervious area” or hard services that allow storm water runoff and reduce ground absorption. Churches, hospitals, and educational institutions are particularly vulnerable to high fees due to surface areas of roofs and parking lots. While the District of Columbia celebrates revenues going to cleaning up the Anacostia River, churches are lamenting the additional fees that fail to account for contributions made to the community. At the end of 2017, the City of Alexandria, Virginia adopted an ordinance for a flat stormwater fee dependent upon type of property. Sales Tax: Nonprofits and foundations in Kentucky are continuing to grapple with a six-percent sales tax on services, including fundraiser tickets and recreational events, which took effect July 1. Rather than risk failing to comply, some charitable nonprofits are considering not holding regular fundraising events in the coming year to avoid the tax, hurting revenues and ultimately the communities they serve. Other organizations are alerting buyers that the tax will be added to the ticket price and budgeting for less monies next year. Danielle Clore, Executive Director of the Kentucky Nonprofit Network said, “Nonprofits have a great deal of anxiety and frustration from all levels.” KNN has been educating nonprofits on the issue and is working with the Legislature to correct the problem next session. Voter registration deadlines differ from state to state so individuals need to take notice and take action to ensure they are eligible to vote. A review of the registration site Vote.org finds that ten states have registration deadlines 30 or more days before Election Day, while three states (Alabama, South Dakota, and Vermont) have short deadlines of 15 days or less before the election. Four states (Nebraska, Nevada, Utah, and Washington) have differing deadlines depending on how one registers. Ten states allow some form of election-day registration, with three more states (Connecticut, Hawaii, and Maryland) making some provisions to register during early voting or up until Election Day. Interestingly, Rhode Island permits same day registration for Presidential elections only, and North Dakota does not have voter registration at all. National Voter Registration Day is September 25! The National Council of Nonprofits, an official partner of National Voter Registration Day (NVRD), along with many state associations of nonprofits, encourage you to join us by 1) signing up as an official partner and 2) planning a voter registration drive on September 25th. NVRD partners receive free field organizing toolkits, promotion materials, an exclusive training by Nonprofit VOTE, and access to an online store to purchase additional promotional swag. 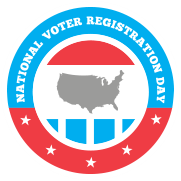 Join a webinar on Planning For National Voter Registration Day on August 16. Nonprofits advance their missions through advocacy every day using any and every tool at their disposal. A well-crafted op-ed article in a local newspaper can raise public awareness about a challenge, generate broad support for solutions, and encourage people to take action. But what’s the stuff of an effective article? Can the core components of a powerful op-ed be identified and replicated? We get five elements of an effective op-ed through a careful review of a recent article by Liz Moore, Executive Director of the Montana Nonprofit Association (MNA), writing in Nonprofits serve communities, not candidates (Ravalli (MT) Republic, July 29, 2018). As background, we’ll share that Moore and MNA strongly support preserving nonprofit nonpartisanship and oppose efforts to repeal or weaken the decades-old Johnson Amendment. Moore had some timeless things to say about nonprofit nonpartisanship in her article, and she made it timely by connecting to the news of the day. She opens the article this way: “Efforts to limit the influence of anonymous donors in elections took hits last week on two fronts; in both cases, nonprofits were used as the vehicle for increased secrecy and decreased transparency in campaign finance.” What she’s referring to are actions by Congress and the Trump Administration that, if allowed to stand, would politicize the nonprofit sector and make individual organizations less effective. This statement from the National Council of Nonprofits provides more background. Most frontline nonprofits aren’t steeped in the nuances of campaign finance law. So is Moore an outlier advocate for campaign finance in a land of indifference or intrigue? Not hardly. Montana's laws have long demanded disclosure and transparency regarding who is funding candidates for public office. It’s no wonder that Montana’s Governor immediately sued the Treasury Department over its recent decision to allow those paying to play in elections to hide their donors and one of its U.S. Senators, Jon Tester, quickly introduced the Spotlight Act (S.3284) to reverse the Treasury’s decision. The campaign finance hook that Moore used in drawing attention to the bigger challenge to charitable nonprofit nonpartisanship is an example of knowing your audience. 3. What’s the problem and why does it matter? Too often, writers submitting articles for consideration by newspapers want to teach the readers a thing or two. Many an editorial page editor will reject the proffered text on the grounds that the page is dedicated to articles that speak for the readers, rather than lecture to them. For people advocating for policies, that may be a hard adjustment to make because the article often is written for the purpose of inciting people to take action. Telling them how to do it is the point. Moore artfully addresses this tenet of effective op-ed writing with the following: “Within Montana’s nonprofit community, our missions are varied, but we speak with one voice when we ask Montana’s congressional delegation to act swiftly and decisively to ensure nonprofits don’t become a repository for an increasing amount of dark money.” It’s all about the “we,” as in speaking for all. - Liz Moore, Executive Director of the Montana Nonprofit Association, in Nonprofits serve communities, not candidates, Ravalli [MT] Republic, July 29, 2018. Read more about the article in Advocacy in Action, below. - Charitable, This Isn’t, editorial, The Columbian, Columbia (WA), July 29, 2018. - Foundation leaders Gary D. Bass, Antonia Hernández, Barbara Picower, and Darren Walker, writing in Every Person Counts: Why the Census Must Be Rescued, Chronicle of Philanthropy, July 31, 2018, making the case for foundations to promote efforts to count every person in America and showing why inclusion of a citizenship question on the 2020 Census would be harmful to communities. - Roger Colinvaux, writing in How the IRS’s Stance on Donor Disclosure Corrupts the Nonprofit World, Chronicle of Philanthropy, July 26, 2018, demonstrating the adverse effects of the announcement by Treasury that it will no longer require non-charitable nonprofits to disclose the names and amounts of donations from donors. - Rebecca Lucero, Public Policy Director of the Minnesota Council of Nonprofits, in a letter to the editor of the Minneapolis Star Tribune, July 20, 2018, correcting misimpressions created in an article about donor disclosure requirements of non-charitable nonprofits. How conservatives have changed the meaning of ‘religious liberty,’ Jonathan Merritt, Washington Post, August 2, 2018, reviewing the evolution of the term “religious liberty” from “inclusive pluralism” to something less expansive that promotes preferences for certain faiths and the repeal of the Johnson Amendment that protects nonprofits, all houses of worship, and foundations from the corrupting influences of partisan politics. Could This Political Environment Get More Toxic for Nonprofits? The Answer Is Yes—Unless You Act, Tim Delaney, Nonprofit Quarterly, July 24, 2018, exposing that those trying to destroy the longstanding Johnson Amendment “have attempted to disguise the truth from us by claiming with a straight face that they are acting in the name of free speech and religious liberty,” warning that “their actions will just make it easier to rig elections by cloaking the identify of those seeking to manipulate our elections and democracy,” and laying out the claims versus the facts for readers to decide for themselves. Whaaat?! Nonprofits need to pay taxes for providing employee parking!, Gene Takagi, NAO Law Group blog, August 2, 2018, explaining the law and confusion about how the new federal “tax cuts” law imposes a new income tax on expenses of nonprofits and their employees for transportation benefits, including parking. Wilbur Ross’s false claim to Congress that the census citizenship question was DOJ’s idea, Salvador Rizzo, Washington Post, July 30, 2018, turning the Post’s Fact Checker analysis to the question of who came up with the idea to include a citizenship question on the 2020 census questionnaire. Why the Government Wants to Know Your Citizenship Status, New York Times editorial, August 5, 2018. "Federal Tax Law, Nonprofits, and the Action in the States, so far," David L. Thompson, National Council of Nonprofits blog, July 23, 2018, reviewing policy developments in the states over the first half of the year. The Man Showing the Country What Makes Cities Work podcast, an interview with Columbia, SC Mayor Steve Benjamin on In the Arena, July 25, emphasizing his “three I’s” of infrastructure, innovation, and inclusion, while making the case to nonprofits and others to engage with cities and their mayors to achieve community solutions. Benjamin is the new president of the U.S. Conference of Mayors. Meeting with Policymakers: (Back) Home Edition (webinar recording), National Council of Nonprofits, learn why meeting with policymakers in their states/districts is easy and effective, and get the one-two-three steps for planning and conducting a successful meeting. The share of states’ revenue received from the federal government in 2016, up from 31.9 percent in fiscal 2015. Virginia recorded the lowest percentage of federal grants as a share of its state budget, at just 21.1 percent, while Mississippi had the largest share, with 43.3 percent. Source: Federal Share of State Revenue Rises for Third Year, Anne Stauffer, Laura Pontari & Brakeyshia Samms, Pew Charitable Trusts, July 24, 2018.